Do you run an e-commerce website? Do you deal with a lot of incoming emails from unknown addresses, that are literally overwhelming your website? 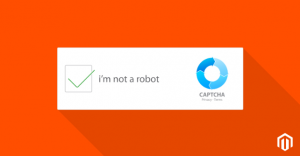 Then adding reCaptcha form is the right solution for you! CAPTCHA, which is short for Completely Automated Public Turing Test to Tell Computers and Humans Apart, is used to determine whether the user on your website is human or not. Its basic purpose is to stop spam and prevent the website from attackers, and it does that with a simple and easy workflow. The goal of any CAPTCHA is security! In short, it should keep your data clean, and your SEO positive. From the marketer’s perspective, spam can be deadly. If you are receiving a bunch of unknown addressed emails or your blog comments are bogged down by spam comments, your website Google rankings will suffer and the user experience drops. The main source of attacks on someone’s website come from the contact forms, therefore, you must do something in order to prevent the attacks and protect your website 24/7. Where you are asked to read the distorted text and type it into a box in order to prove you are not a robot. If the CAPTCHA is a match, the user is allowed to proceed, and if it doesn’t, then, of course, they can not. However, Google’s research showed that distorted text, on its own, was no longer a dependable test for smarter artificial intelligence. 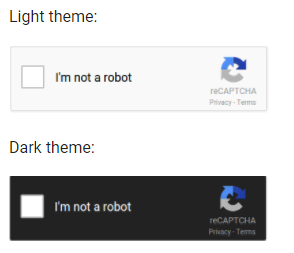 Around 2014 Google thought that it was time for a much-needed security improvement – which is when reCaptcha was created. reCaptcha directly asks the user if they are a robot, and based off of the user’s overall engagement with the CAPTCHA —before, during, and after—determines whether that user is a human. Contact your web administrator today and request reCAPTCHA to be placed on all of your forms and registration pages to help secure your site from spammers. With CAPTCHA, you can forget about bad emails, and focus on boosting your website traffic. Make your Blog readers happy and attract many more. Give your visitors what they need. With just a little effort and invested time, success is guaranteed. Keep your website clean! Stay safe!